Stamina, endurance, will power, whatever you want to call it, the chances are you want to improve it and as a result, improve your performance out on the open road, in the pool or even when hiking up a mountain. "As former wrestler, I can vouch for just how important stamina is," explains Keith McNiven, founder of London-based personal training company Right Path Fitness. "The outcome of so many matches was decided on stamina and who has the capacity to keep going right to the bitter end," he adds. Even if you don't fancy throwing someone around a floor for 30 minutes, increasing stamina will allow you to power through annoying thresholds when running, or increasing the distance you can manage on a bicycle before your lungs and heart explode. The point is, everyone's level will be extremely different, but this workout will benefit everyone - from those that simply want to hit 10 continual minutes on a rowing machine to the person that wants to smash a sub-four hour marathon. "Stamina is strongly associated to sports like swimming, cycling and running, and that’s where we take a lot of our learning about stamina and endurance from," explains Keith. "Elite athletes are, naturally, preoccupied with their ability to start an event strongly, but also to perform consistently throughout. Training focuses on enabling them to keep their bodies moving for extended periods of time," he adds. But where these workout tips will aim to help participants battle through physically, stamina is also a mental game. Finishing an Iron Man is as much about blocking out the nagging demons, as it is about physical fitness. Cardiovascular exercise is going to play a big part in this workout, but instead of just punching in extra time on the treadmill, participants should think about interval training. "Imagine the ebb and flow of a football match," says Keith. "You might have periods of intense activity, then slightly less intense activity, followed by more intense activity and so on." 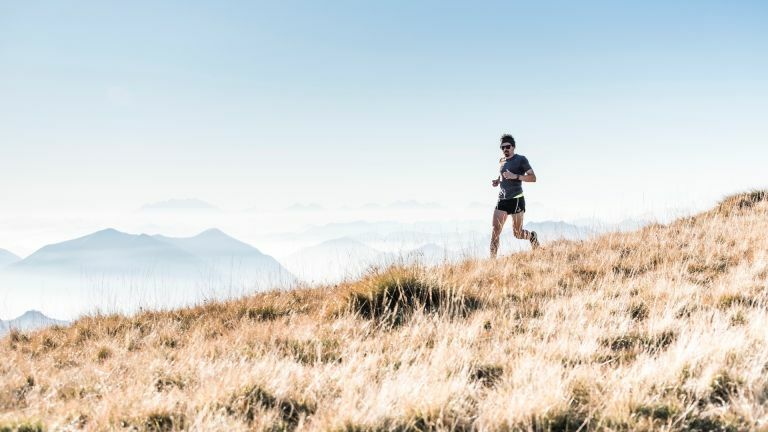 The same can even be said for almost any activity, even running, as the topography is bound to change and there are typically areas where runners will have to dig deep and put in more effort. Stamina training will grab your energy reserves and keep coming back for more, so make sure you stock up on complex carbohydrates and protein, as well as all of the other components that make up a healthy diet. Fibre, fats, vitamins, minerals and plenty of water will be key, while those planning a long stamina session should eat a low GI carbohydrate rich meal at least an hour beforehand to provide that long, slow energy release. Brown rice, sweet potato, oats and fruit are all good choices. A big bowl of porridge and fruit for breakfast is a good idea if you're going to train that day. Then, 30 minutes or so after your workout try and take on-board some carbohydrates to replenish all the energy you used in your workout. "The journey to increased stamina isn’t a short one, but the trick is to slowly and gradually increase your overall distance, keep testing yourself with those bursts, and stay focused on the finish line," explains Keith. Additional protein is also required to aid recovery and promote muscle growth. Check out some of our favourite protein powders for quick and easy muscle building. Most of this workout can be replicated for numerous sporting disciplines, but Keith will divulge a basic format for you to try with your chosen form of fitness. A general rule for increasing running endurance involves injecting some interval training into your typical running routine. Set an overall distance of 3 miles, over a variety of terrain if possible, and use the first mile as a warm up. As you click in to the second mile, attempt to crack a fast pace for 60 seconds, before settling back into a steady pace for a further 60 seconds and repeating until the 3-miles is up. The trick is to find a comfortable resting pace that will allow for the heart rate to drop and a decent sprint-jog pace that will allow you to hold that speed for 60 seconds. This kind of training it aided with a good running watch or fitness tracker, which will not only allow you to keep tabs on distance and pace, it can also be set to fire off alerts every 60 seconds. "This style of interval training can be translated to stamina friendly activities like swimming," explains Keith. "Try a length of front crawl at a fast pace, followed by a length breast stroke at a more standard pace, keeping going until you reach your goal of say 40 lengths, increasing your number of lengths over time," he says. Similarly, those into pedal-powered transportation can practice a similar format with set period sprint bursts (where safe) or add additional resistance if training indoors. This type of interval training gets the body used to bursts of intense activity overt a prolonged period, which will help you achieve an improved fitness threshold, lower resting heart rate and speedier recovery times. But in order to assist progression, you must aim to gradually increase the overall distance, and therefore the number of intervals, over time. So aim to hit more laps of the pool with each week, add on an additional half or quarter mile when running or increase the time on a static bike or turbo trainer.